iPads have replaced many of the standard directories and information tools in luxury hotels and conference room spaces. In so doing, protecting these devices is critical. But maintaining the branding is just as critical. We have worked with many clients to develop custom debossed leather iPad covers. These can be given away to guests for their own equipment or as a branding tool for devices owned by and used in the hotels. iPad covers are custom designed around our clients other corporate pieces to give everything a professional look and feel. 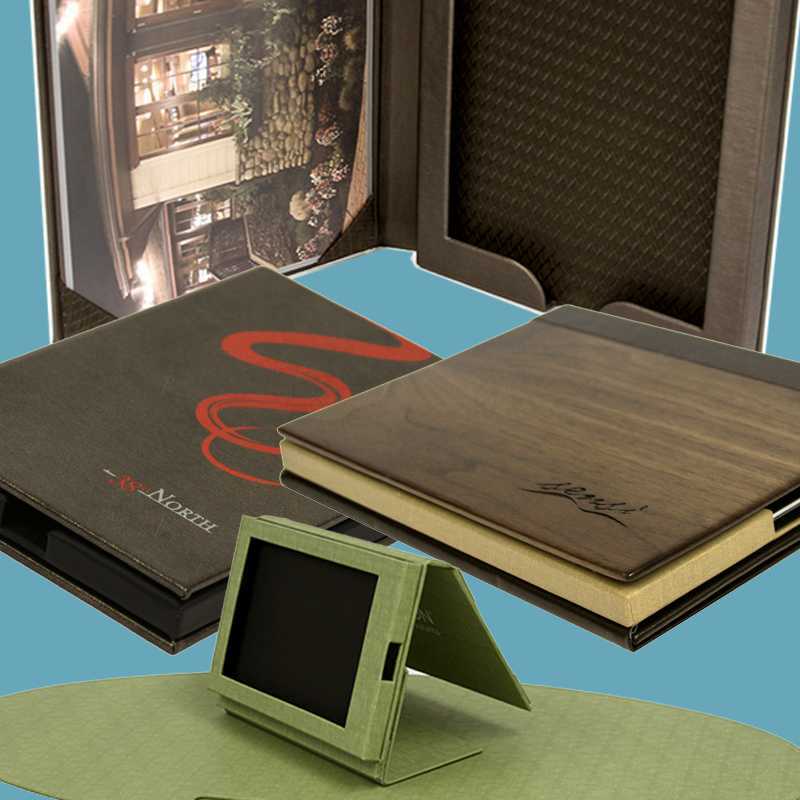 Corporations use iPad covers as client appreciation gifts as well as in boardroom settings. Custom designing of the colors, material, interiors, and artwork application, make these an exclusive gift with a personal touch.